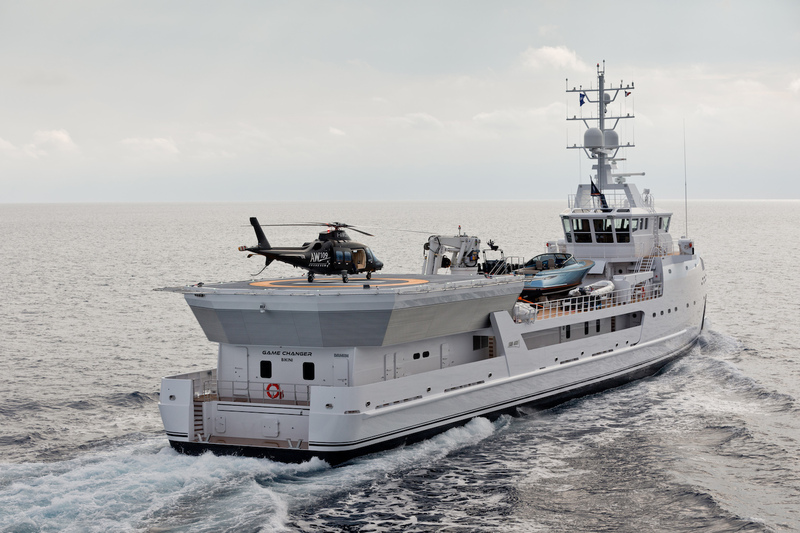 GAME CHANGER is a 70 metre (227 foot) support vessel built in 2017 by the Dutch shipbuilder DAMEN. 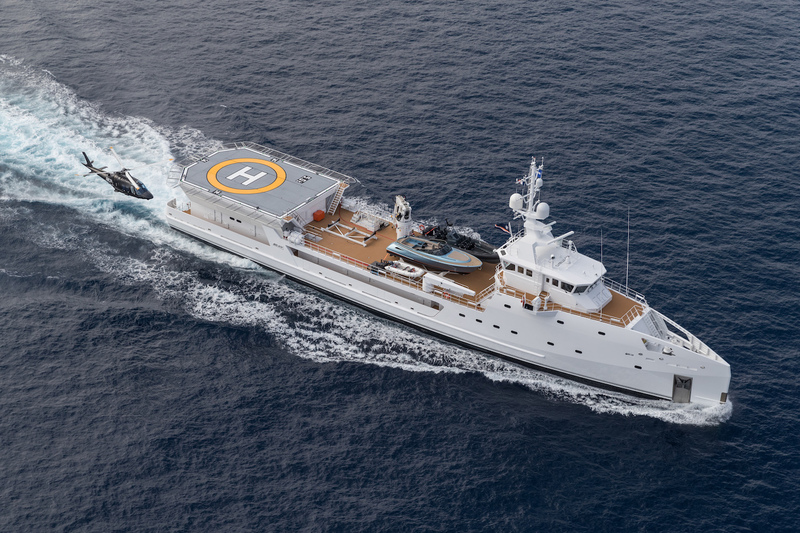 She is the fourth hull in Damen's 70-metre segment and can accommodate up to 12 guests in 6 luxurious cabins. She has received a significant update in 2018 - see details further below. 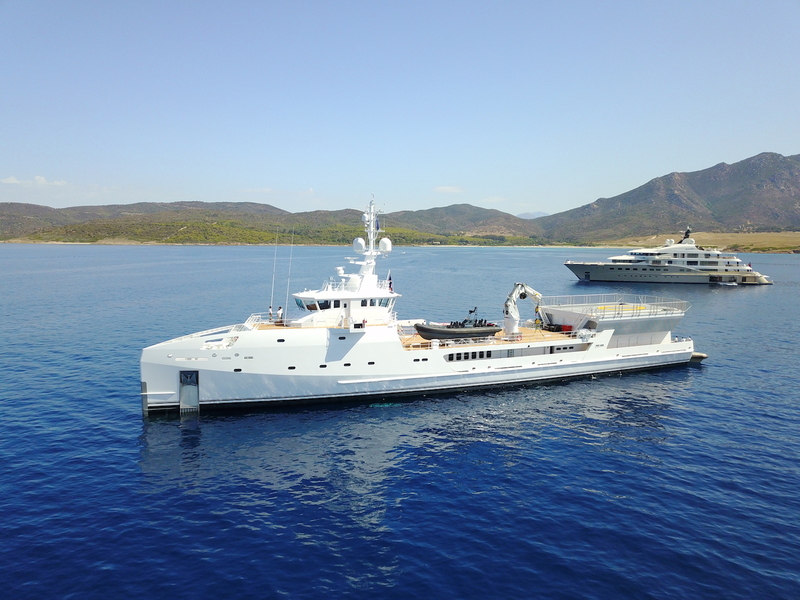 GAME CHANGER is an impressive support vessel that provides the ultimate experience for guests who wish to have fun off the beaten track while significantly reducing the usual cost of ownership for a yacht this size. 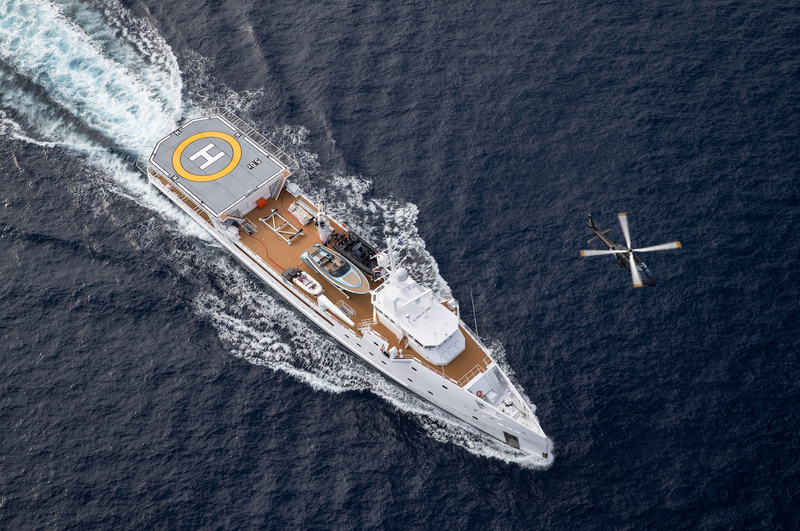 She has a huge storage and guest capacity and really offers the ultimate yachting solution for professional helicopter operations. 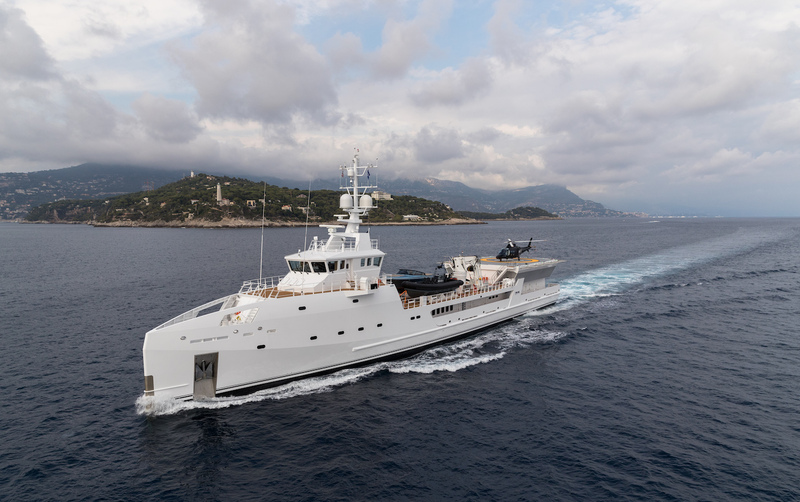 With her 227 ft LOA and 820 square feet of deck space, she is the ideal yacht for those who want to do more with more equipment, toys and staff. She is perfectly equipped to support wide-ranging operations with the benefits of flexible operations and privacy. Her interior is bright, with use of neutral fabrics and light wooden panels. 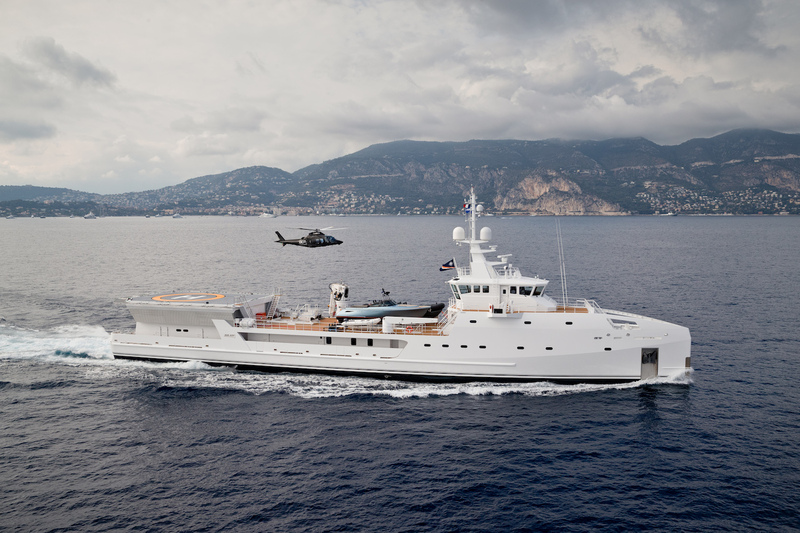 With an additional interior 110 square metres of indoor space, needless to say, she offers guests plenty of room for any activity on board as well as storage for large water toys. 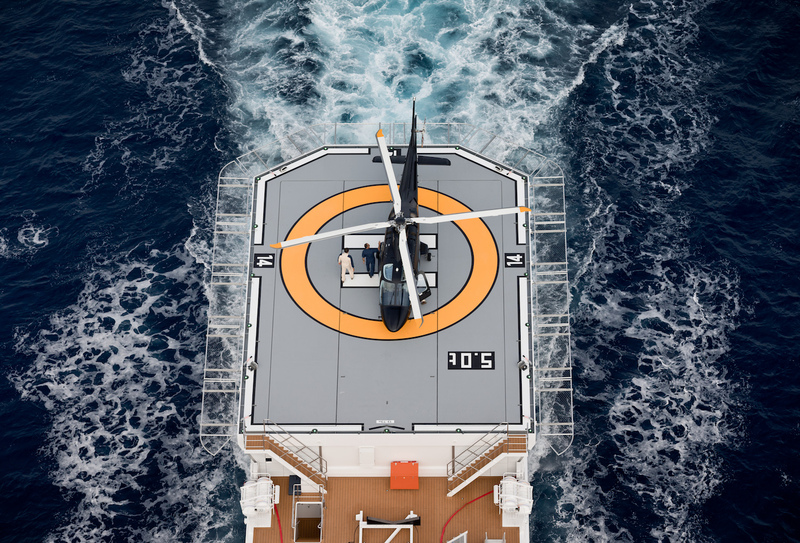 Her certified helipad on the aft deck allows a large helicopter to be lowered below deck into the safety of an enclosed hangar. She has onboard refueling capabilities also. Another great feature of this yacht is the dive centre below deck, complete with decompression chamber. 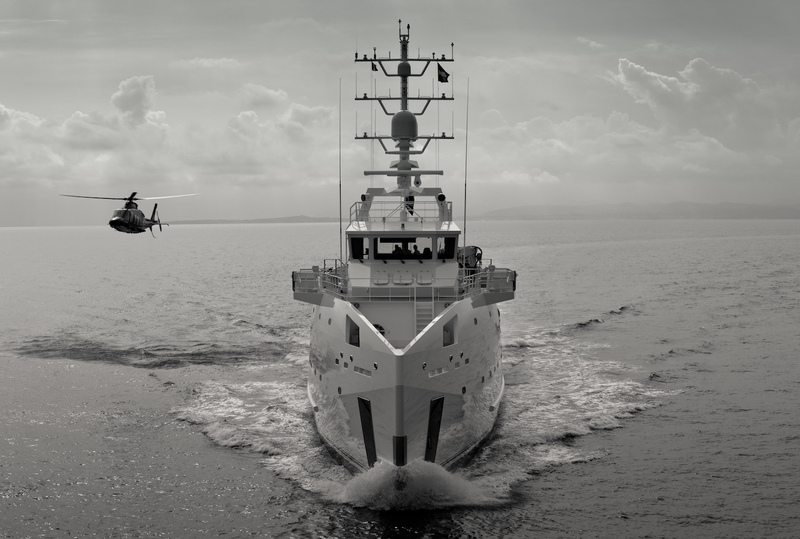 Overall, GAME CHANGER is a massive leap forward in capability, allowing guests to go to exciting new destinations with less established superyacht infrastructure but larger tenders, helicopters and submersibles. 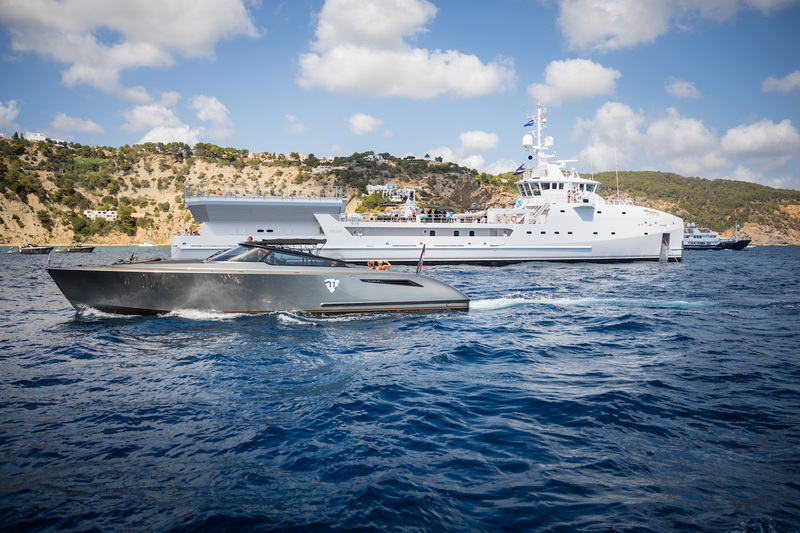 With quarters for 22 crew, she also allows for more staff, be they guides, pilots or security personnel. ~ addition of new guest and crew areas ~ an exceptionally well-equipped dive centre with a custom set-up and tri-mix facilities by Moondog Diving ~ certification for Arctic and Antarctic operations in compliance with the IMO Polar Code. 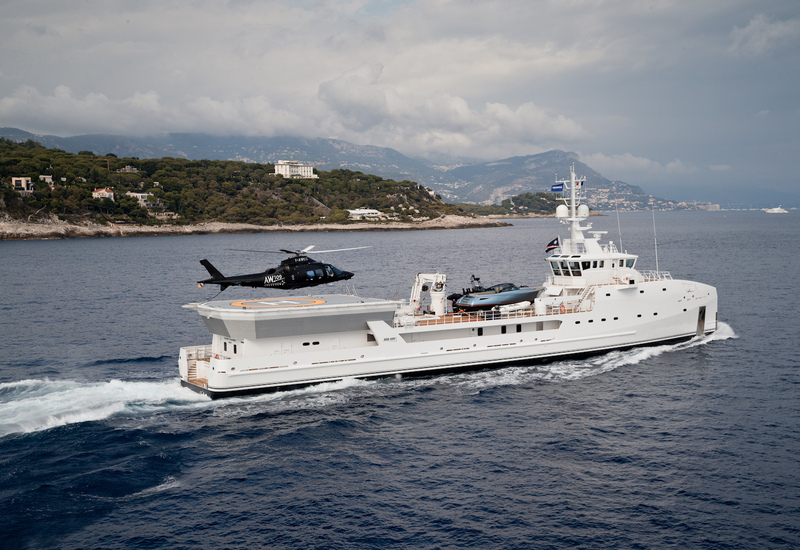 GAME CHANGER is built with a steel hull and Aluminium superstructure. 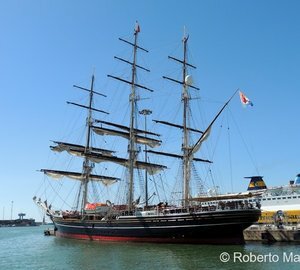 She cruises at speeds of 18 knots with a maximum speed of 20 knots. GAME CHANGER can accommodate up t 12 guests in 6 luxurious cabins.